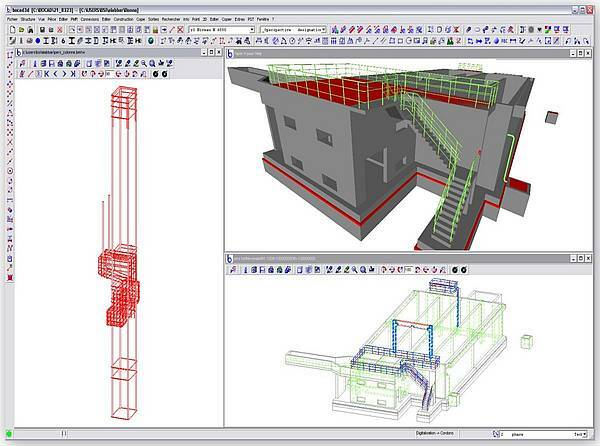 The bocad-3D Concrete Designer is the module for producing prefabricated concrete parts, complete with connections, reinforcements and fixtures. This module can be used to install supports, beams, girders, single or multiple-shell plinths or walls, foundations etc. Recesses, consoles, yokes, grooves, pockets or tapers are implemented using fixed parameters or in accordance with adjoining components. Binders and span bars can be inserted into the prefabricated part freely or using the extremities of the parts, with anchors or excess lengths and bending roll radii, and placed in the concrete parts for connections, bearings and transportation.